30 Day Money back guarantee, affordable rates and excellent coverage for your cat or dog. Founded in 2013 and with less than 10 employees, PetPremium is a relatively new and small pet insurance company. Don’t let that fool you though, because they are serious about providing quality pet insurance for you and your pet. Their goal is to keep your pet happy, healthy, and protected, and they provide a range of options to help accomplish this goal. They are backed by the Hartville Pet Insurance Group the same insurer that backs ASPCA Pet Insurance. PetPremium is an ideal pet insurance for owners looking for good coverage for a decent price. PetPremium offers two different types of insurance: accident only and total coverage insurance. The accidents only plan only covers accidents, whereas the Total Coverage adds coverage for illness, such as prescription medications, X-Rays, lab tests, surgeries and hospitalizations. It also includes coverage for hereditary & congenital conditions, alternative therapies and behavioral treatment. At either plan level you can select your annual plan limit, deductible and reimbursement levels. Prescription food to treat a covered condition; not for general health maintenance, or prevention, even if prescribed or dispensed by a veterinarian. Prescription medications prescribed by a veterinarian and approved by the Food and Drug Administration (FDA). Veterinary Treatment, including examinations, consultations, and laboratory tests. Expenses listed above under accident benefits when applicable to illness. Cancer treatments (including but not limited to chemotherapy and radiation treatment). Treatment for behavioral problems if performed by a veterinarian or through a written referral by a veterinarian to a Certified Applied Animal Behaviorist. Illnesses are subject to a 14 day waiting period, but accidents are covered the day after enrollment. There is also a 14 day waiting period for issues related to the knee and ligaments. Any conditions that occur during the waiting period will not be covered unless your pet is cured and incident free for 180 days. With PetPremium you can visit any licensed veterinarian in the United States. Pre-existing conditions, breeding or pregnancy, food, vitamins, supplements, and dental care are excluded from both plans. With the Total Care plan you gain coverage for not only illness related events, but also behavioral treatment, and coverage for heredity and congenital conditions. PetPremium gives you the option of 3 different deductibles. They are $100, $250, and $500. They also allow the choice of 3 different reimbursement limits. They are 70%, 80%, and 90%. PetPremium does not have per lifetime limits, however they do have optional per year limits that, if chosen may reduce your premiums. The per year limits are: $2,500, $3,000, $4,000, $5,000, $7,000, $10,000, $15,000, $20,000 as well as the Unlimited option. PetPremium offers three wellness add-ons listed below under our Wellness section. 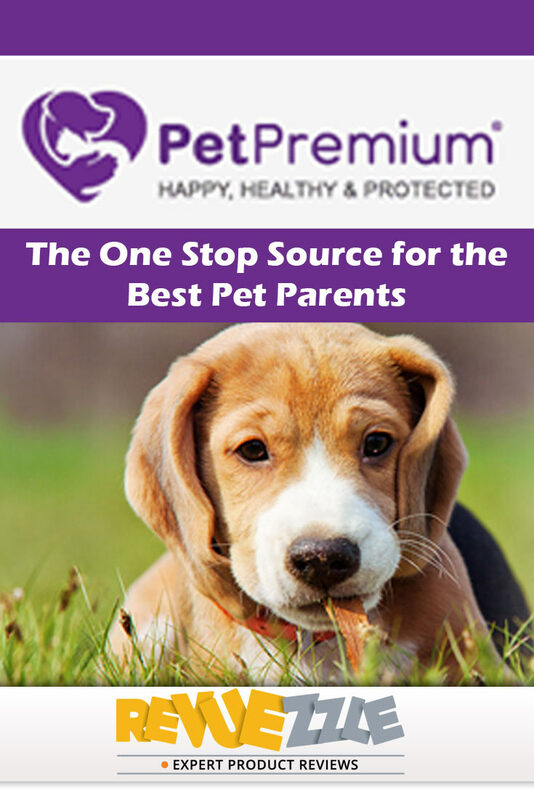 PetPremium also provides a 10% discount for customers who register more than 1 pet with them. It could not be easier to enroll with PetPremium. Simply go to their website and create and account for yourself and your pet. You will be given a quote and the option to choose your plan. From there you can continue directly to pay for the insurance and begin coverage for your pet. PetPremium offers limited customer service – they are available from 8am-9pm EST from Monday-Friday, and 9am-5pm EST on Saturday’s. They can reached by phone at 1-800-935-7280 only. Their contact form on their website does not work when we attempted to use it multiple times. We could not find any option for chat, and when we attempted to get ahold of them via twitter they were completely unresponsive. It appears by looking through their twitter activity that we aren't the only ones that have had trouble contacting them. So it appears the only option for contacting PetPremium is by phone. The information on their website does not answer even basic questions about their policies, and in places offers conflicting information with new and old plan information inter-mixed. For instance in their “Help” section it asks a question “What is an incident limit” – which they explain, but then they don't state if their plans have per incident limits. Customers seeking answers not only want the definition but also want to know how it applies to that insurer. So for the most part their “help” section is extremely UN-helpful. It is hard to get a real feel for the details of their current plans even by looking at their sample policies because the wording in the sample policies still references old plans. Pricing depends on breed, age, gender, zip code, and of course coverage selected. For dog owners, on average coverage will cost $12.28/month for Accident Only Coverage to $22.93/month for Total Care Coverage. Prices for cat owners are slightly less, with an average of $8.54/month for Accident Only coverage to $12.94 for Total Care Coverage. *Sample price based on a 2 year old female, spayed pet from Minnesota with a $2500 annual limit, $250 deductible and 80% reimbursement level. Pets as young as 8 weeks can enroll with PetPremium. If you are a new user the age limit is 12 years for dogs and 14 years for cats. If you are already enrolled then there is no age limit. PetPremium offers three different wellness add-ons with their insurance plans. Basic – $9.95/month and covers up to $250/year. It covers things such as wellness exams, spaying/neutering, routine vaccinations, deworming, dental cleanings, and heartworm or FELV screening. This plan has lower annual limits for each wellness treatment. Standard – $14.95/month and covers up to $350/year. It covers everything in the Basic coverage along with a Health Certificate and slightly higher annual limits. Prime – $24.95/month and covers up to $500/year. It covers everything that the Standard add-on does plus Bordetella Vaccine, or FELV Vaccine, Flea/Heartworm treatments, routine blood test and urinalysis. This option comes with slightly higher annual limits for each treatment. It should be noted that each wellness treatment comes with it's own annual limit – for example: a dental cleaning would be covered up to $100 on Basic, $150 on Standard, and $175 on Prime. These limits seem to us to be a bit low, so be cautious when assuming you are covered for any particular wellness visit. PetPremium will never raise your rates for filing claims. There are no lifetime limits, however you can elect for one of the following annual limits: 2,500, $3,000, $4,000, $5,000, $7,000, $10,000, $15,000, $20,000 or select an unlimited annual option. They no longer have per incident limits – however when we were speaking to them, we were told this may vary by state, so be sure to ask. Alternative therapy is covered under both the Accident Only plan (if related to an accident) as well as the Total Care plan. Behavioral treatment, plus heredity and congenital conditions are covered only on the Total Care plan. PetPremium provides well-rounded insurance that covers everything that pet insurance should – we would just caution you to take a close look at the wellness add-on option to insure that you are getting the level of coverage you need, as there are pretty restrictive limits on some of the wellness treatments. It is up to each person to judge if the added insurance cost of the wellness add-on will pay for itself in the wellness treatments your specific pet will receive. If you change your mind within the first 30 days of receiving coverage PetPremium will completely refund all expenses. This is extremely helpful if customers bought insurance hastily without doing their due diligence and regret the decision. If you are looking for a low cost option that will cover your pet in the event of an accident and you don't really feel you need the illness, hereditary/congenital, and behavioral coverage, you can get that with PetPremium. Despite having so much information for pet owners in regards to owning and raising a pet, PetPremium’s website does not explain many aspects of their insurance policy on their website. Things such as waiting periods, enrollment age, and availability are not clearly stated, and worse yet, they are listed in various places with conflicting details and prices. To get a clear picture you have to contact customer support and/or go through the quote process. An example of this is their wellness add-on – in one place it lists two different plans and in another place it lists three different plans. It's not until you go through the quote process that you find out there are three plans and what they include. Also all through their website there are still references to their old pricing/policy setup showing level 1, 2 and 3 pricing – this no longer exists when you go to get a quote. There are also no per incident limits but that is not clear again via their website information alone. We feel that some of the limits on wellness options are relatively low. For instance on the basic plan for a dental cleaning you have a limit of $100 for the Basic plan and it only increases by $75 to the Prime plan. Similarly you have a $25 limit for a blood test and it's only available for Prime plan holders. We've had both dental procedures done on our pets, as well as a yearly blood test and both have run well over those limits. Use caution and estimate how much you will use the wellness care options and compare it to what you will be paying for them both in insurance and out of pocket expenses. Overall, PetPremium provides an reasonably priced option for pet owners looking for accident coverage only, and options for more expanded coverage for illness, hereditary/congenital conditions, and routine wellness visits. However they appear to be going through a transition period and may not be as responsive as they used to be, which isn't a good things when plans and policies are changed. PetPremium would rank higher in our listings if it weren't for the fact that their customer service is so lacking and unresponsive. With the only option for contacting them being by phone during business hours, this is definitely a weakness pet owners should take into account. Good coverage at a great price. $7.50 Get Your Free Quote!